“I’m feeling much better now and on the mend,” the musician wrote on Twitter shortly after his surgery Friday. 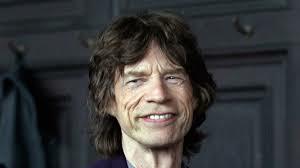 Rolling Stones frontman Mick Jagger has undergone successful heart-valve surgery. The musician is resting and “is expected to make a full recovery” after completing a transcatheter aortic valve replacement in New York, according to Fran Curtis, his representative. The surgery comes less than a week after the band postponed its North American tour when doctors told Jagger, 75, he needed to take a break to receive medical treatment. Doctors are monitoring Jagger for any complications, according to Billboard, which first reported that the musician underwent the procedure successfully. The tour was originally slated to begin in April but will now start in July.